La Police des frontières a saisi mercredi 11 juillet 55 kilos de cassitérite estimés à plus de 2% de tantale à « la grande barrière », une frontière entre la République démocratique du Congo (RDC) et le Rwanda. Des sources douanières ont affirmé qu’un militaire des FARDC a tiré en l’air pour intimider les responsables de la police des frontières. Ces derniers n’ont pas cédé à la menace et ont saisi le colis des minerais qu’ils ont fait consigner à la direction de l’Agence nationale de renseignements (ANR). Cette cargaison vient s’ajouter aux dizaines d’autres tonnes de cassitérite déjà saisies par les différents services affectés aux différents postes frontaliers. En juillet 2011, la police des frontières avait encore saisi 50 kilos de cassitérite au même endroit. 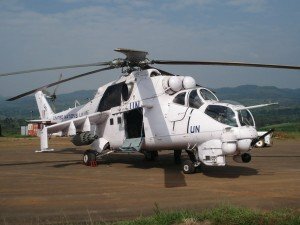 Un véhicule de la Mission des Nations unies pour la stabilisation de la RDC (Monusco) avait aussi été intercepté avec 1200 kilos de ces minerais. Des observateurs déplorent toujours la gestion et la destination des minerais saisis soit par la police des frontières, soit par la Direction générale des douanes et accises (DGDA) ou les services de l’ANR. 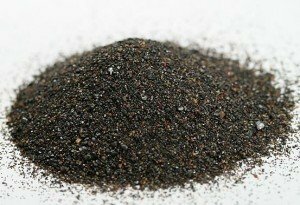 Lorsque c’est la police des frontières qui le fait, le fraudeur et la quantité de minerais saisie sont directement transférés au parquet. 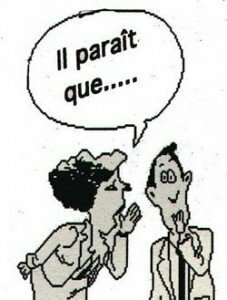 A ce niveau, le dossier est transmis aux cours et tribunaux pour un jugement. Dans le cas où les auteurs de la fraude ne seraient pas connus, seul le procureur de la République peut autoriser la vente aux enchères des minerais et faire verser les frais de cette vente au trésor public. Un flou persiste encore quant au respect strict de cette procédure. Certains services ne transmettent pas le dossier à qui de droit, affirment les sources proches du parquet de Goma. Posté dans 12 juillet, 2012 dans Non classé. 7 commentaires. Sena y’u Rwanda yemeye umushinga w’itegeko rishyiraho ibigenerwa abanyapolitiki birimo amafaranga yo kwakira abashyitsi, koroherezwa mu ngendo ndetse no kubona amacumbi kuri bamwe; byiyongera ku mishahara bahabwa izazamuka guhera muri uku kwezi kwa Nyakanga. Iri tegeko rikiri umushinga, rishyira abanyapolitiki bakuru mu byiciro bine bakagenda barutanwa mu kugira ibibagenerwa uhereye ku cyiciro cya mbere, nk’uko byasobanuwe na Ministiri Anastase Murekezi w’Abakozi ba Leta n’Umurimo, kuri uyu wa kane tariki 12/07/2012. Icyiciro cya mbere kigizwe na Perezida wa Repubulika y’u Rwanda gusa, wongerewe umushahara wa buri kwezi ukagera kuri miliyoni 2.92, akagenerwa n’amafaranga yo kwakira abashyitsi mu rugo no ku kazi, icumbi, imodoka z’ingendo, ndetse iyo avuye ku mirimo ye adakuweho icyizere, akomeza kugenerwa 80% by’umushahara yahabwaga mu gihe cy’ubuzima bwe bwose. Icyiciro cya kabiri kigizwe na ba Perezida b’imitwe yombi y’Inteko Ishinga Amategeko, hamwe na Ministiri w’Intebe, bakaba bagenerwa umushahara ungana na miliyoni 2.105, amafaranga yo kwakira abashyitsi mu rugo no ku kazi, icumbi ndetse n’imodoka imwe ya Leta n’indi ye bwite yishyurirwa 50% by’ikiguzi cyayo, asigaye akayabona ku nguzanyo kandi yasonewe imisoro n’amahoro. Icyiciro cya gatatu kigizwe na ba Visi Prezida b’imitwe yombi y’inteko ishingamategeko, ba Ministiri, ba Guverneri n’umuyobozi w’umujyi wa Kigali; bakaba bagenerwa umushara wa miliyoni 1.27, boroherezwa kwigurira imodoka ndetse bagahabwa n’amafaranga yo kwakirira abashyitsi ku kazi. Icyiciro cya kane cy’abanyapolitiki bakuru kigizwe n’Abadepite hamwe n’Abasenateri bazagenerwa umushahara ungana n’ibihumbi 900, bakaba boroherezwa kubona imoka z’ingendo, ndetse bakanishyurirwa ibihumbi 250 byo gukodesha inzu babamo. Abakozi ba Leta bazatangira guhabwa imishahara mishya muri uku kwezi kwa karindwi, nk’uko bigenwa na politike nshya y’imishahara imaze umwaka yigwaho. Posté dans 12 juillet, 2012 dans Non classé. 6 commentaires. A prominent Rwandan exile accuses the president of being a dictator, imprisoning political opponents and destabilizing East Africa, adding in an interview Thursday that he believes the leader, who he once served, has hunted him and other dissidents around the world. 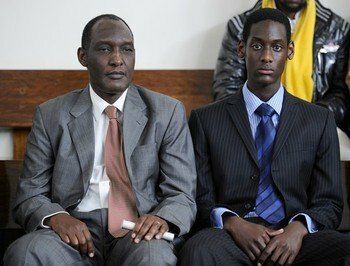 Kayumba Nyamwasa, once Rwandan President Paul Kagame’s army chief, spoke to The Associated Press in an exclusive interview Thursday after finishing his testimony as a witness in the trial of six East Africans accused of attempted murder in his 2010 shooting. 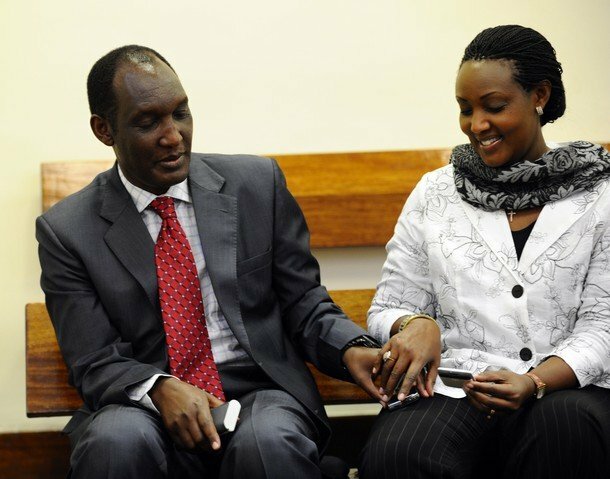 Rwanda’s government has denied involvement in an attack in Johannesburg that left Nyamwasa with a bullet lodged at the base of his spine. 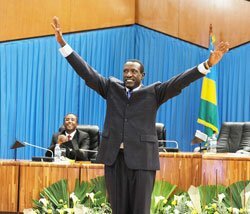 « There is no doubt that my life has been threatened by the president of Rwanda, using government institutions and using hired killer squads, » Nyamwasa said. He spoke in the court room where he testified for several days last month and just over two days this week. When he mentioned hired assassins, he gestured to the dock where three Rwandans and three Tanzanians accused of trying to kill him had sat during a trial session earlier Thursday. The Rwandan government has said it would not comment on matters before a court. Kagame’s spokeswoman did not immediately respond to an email requesting comment on Nyamwasa’s allegations. « When I called him a dictator, it was not out of assumption. It was not out of speculation. It was based on facts, » he said as his wife Rosette Kayumba sat next to him. His wife, who was in the car with him when he was shot, attended every hearing at which he testified, once bringing along two of their four children. Nyamwasa said he believes that in addition to the attempt to kill him, Rwandan government agents were behind the killing in Uganda late last year of a Rwandan journalist who was a prominent critic of Kagame. And Nyamwasa cited warnings British police have issued to Rwandan exiles in Britain that their lives were in danger, a threat believed to emanate from the Rwandan government. Nyamwasa said one reason Kagame wants him dead is that he has evidence Kagame ordered the shooting down of a plane carrying Juvenal Habyarimana, then president of Rwanda in 1994. The Rwandan government blames Hutu extremists for the crash that killed Habyarimana. A French investigation completed earlier this year found that the missile fire came from a military camp and not Kagame’s forces. But Nyamwasa said he had evidence Kagame ordered the plane be brought down. Nyamwasa would not elaborate, but said he would present his evidence to French investigators. Observers speculate Kagame saw Nyamwasa as a political rival, but Nyamwasa said Thursday he had no personal political ambitions. Working with other dissidents in South Africa and elsewhere, Nyamwasa established the Rwandan National Congress in South Africa. It is dedicated to pursuing peaceful political change in Rwanda, he said Thursday. He said he began opposing what he called « creeping dictatorship » in his homeland before fleeing to South Africa, arriving just months before he was shot. He compared Rwanda under Kagame to Egypt under now-toppled Hosni Mubarak, saying Kagame’s political opponents are jailed, journalists are killed or forced into exile, and judges answer to the president instead of the law. Independent human rights groups make similar charges. He has refugee status in South Africa and has been under South African government protection since the shooting. A Spanish judge in 2008 charged Nyamwasa and 39 other members of the Rwandan military with mass killings of civilians. The Spanish allegations, which have prompted rights groups in South Africa to call for Nyamwasa to be stripped of his refugee status here, stem from accusations Nyamwasa and other senior Tutsis waged a retaliatory extermination campaign against Hutus after the genocide. Nyamwasa denied accusations he is responsible for human rights abuses or war crimes. He said he supported incursions by Rwandan forces into neighboring Congo in the mid-1990s, saying toppling the Mobutu regime in power in the former Zaire was necessary. But since then, Nyamwasa charged, Kagame has waged unnecessary wars, fueling instability in the region, and is now funding rebels in Congo. Kagame’s government has denied a U.N. experts report accusing it of helping create, recruit for and arm an insurgency in Congo that since April has forced more than 200,000 people from their homes. Nyamwasa said Thursday that Kagame wants Congo, Rwanda’s giant, mineral-rich neighbor, weak so that he can manipulate its politics and loot its wealth. Nyamwasa, identified earlier as Faustin Kayumba Nyamwasa, clarified during his testimony that he does not use the name Faustin. Posté dans 12 juillet, 2012 dans Non classé. 39 commentaires. Rosette Kayumba ntazitaba urukiko nk'uko ababuranira abaregwa babishakaga. Kuri uyu munsi tariki ya 12 Nyakanga 2012, nibwo Lt Gen Kayumba Nyamwasa yitabye urukiko rw’i Johannesburg aho yabazwa n’abunganira abaregwa ku munsi wa 4 mu rubanza ruregwamo abagabo 6 bakekwa kuba baragize uruhare mu mugambi wo gushaka kumwivugana mu mwaka 2010 ubwo yari amaze guhunga u Rwanda. Mu minsi yabanje muri iki cyumweru, ababuranira abaregwa bahase Lt Gen Kayumba ibibazo bijyanye n’ubuzima bwe bwite ndetse n’imirimo yakoze mu Rwanda. Ibyo bibazo ibyinshi byari bimeze nko kwigiza nkana ndetse bigaragara ko ntaho bihuriye n’igikorwa cyo gushaka kwica Lt Gen Kayumba cyaburanwaga muri urwo rubanza. Byageze aho Lt Gen Kayumba yanga gusubiza bimwe mu bibazo ndetse n’umucamanza abaza niba baje kumva amateka yose y’u Rwanda kuko atabonaga aho ibyo bibazo bihuriye n’urubanza. Umwe mu bunganira abaregwa yashatse kwerekana ko Lt Gen Kayumba ari umuntu w’umugizi wa nabi ushakishwa n’ubutabera bw’ibihugu 3, u Rwanda, Espagne n’ubufaransa kandi ngo ibyo bihugu byose bikaba byarasabye ko Afrika y’Epfo yamwohereza kuburanira muri ibyo bihugu. Kuri uyu wa gatatu bwo abunganira abaregwa bemeje ko Lt Gen Kayumba yivuguruje mu mvugo ze ubwo ubwa mbere ngo yavugaga ko yarashwe isasu rimwe ahandi akavuga ko harashwe amasasu atatu. Mu kwisobanura Lt Gen Kayumba yasonanuye ko isasu rimwe ari ryo ryamuhamije ayandi 2 n’igihe yarwaniraga imbunda n’uwashakaga kumurasa ntabwo yamufashe kugeza aho imbunda ikwama. Abunganira abaregwa kandi bavuze ko bifuza ko umugore wa Lt Gen Kayumba, Madame Rosette Kayumba yahamagarwa mu rukiko ngo kuko ngo hari ibyo yabwiye abakoraga iperereza bivuguruzanya. 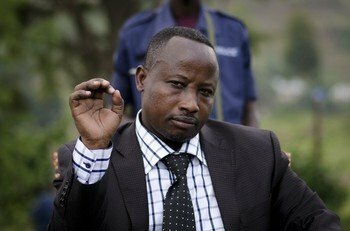 Kuri uyu munsi tariki ya 12 Nyakanga 2012, abunganira abaregwa bamubajije ukuntu azi uwamurashe bakibaza niba atari police yaba yareretse Lt Gen Kayumba amafoto y’uwo muntu. Lt Gen Kayumba mu kwisobanura yavuze ko uwo muntu yamubonye inshuro 2 zose, ubwa mbere igihe yamurasaga isasu rya mbere n’ubwa kabiri igihe Lt Gen Kayumba yari yasohotse hanze y’imodoka undi akazenguruka imodoka akahamusanga aje kumurasa bakarwanira imbunda igakwama, mu gihe undi yakuragamo icyuma Lt Gen Kayumba yashoboye kwirukira mu nzu. Abacamanza bavuze ko Lt Gen Kayumba arangije gutanga ubuhamya mu rukiko ndetse urukiko rwasanze atari ngombwa ko Madame Rosette Kayumba agomba guhamagarwa mu rukiko nk’uko abunganira abaregwa babishakaga. The Democratic Republic of Congo, Rwanda and neighbouring states called on Thursday for the creation of an international military force to eliminate armed rebels in the DRC’s turbulent east. Their agreement, signed on the sidelines of an African Union summit in Addis Ababa, proposes an internationally-backed military response to an offensive by rebels in the DRC’s North Kivu province, a political and ethnic tinderbox. The document was signed by the foreign ministers of nearly a dozen states of the Great Lakes region, including the DRC and Rwanda, and condemned recent advances by the Tutsi-led M23 rebel movement and a rebellion by predominantly Hutu fighters of the FDLR insurgent group in North and South Kivu. It was not immediately clear in the text, to be presented to African heads of state at the Addis summit, where the troops would come from to establish the « neutral international force » that would take on the Congolese rebel groups. The United Nations has a large peacekeeping mission in the Congo but has often been hard pressed to halt fighting. An Indian peacekeeper was killed last week during clashes. On Thursday, U.N. and Congolese army helicopters used rockets and machinegun fire to pound rebel positions in the villages of Rumangabo and Bukima, U.N. officials and witnesses said. Eastern Congo’s enduring conflict, which has killed, maimed and displaced several million civilians over nearly two decades, has its roots in Tutsi-Hutu ethnic and political enmities dating back to the 1994 Rwandan genocide. Later invasions of Congo by Rwandan forces and Kigali’s backing of Congolese rebels fuelled two crippling wars. The DRC’s government, whose army has retreated in disarray before the advancing M23 rebels over the last week, had accused neighbour Rwanda of fomenting and supporting the rebellion, which began as a mutiny by former rebels in the government army. Rwanda strenuously denies supporting the M23, though U.N. investigators have produced evidence to back the allegations that senior Rwandan military officials provided backing for the rebels. In the document signed on Thursday, the states grouped in the International Conference of the Great Lakes Region proposed working with the AU and the United Nations to create « a neutral international force to eradicate M23, FDLR and all other negative forces in eastern Democratic Republic of Congo ». The document said « no support should be given to any negative forces ». Both the Congolese and Rwandan foreign ministers welcomed the agreement as a step towards ending the latest fighting in North Kivu, which since April has displaced more than 100,000 civilians, according to U.N. officials. « I think it is positive. The most important thing is putting it into effect, » Congolese Foreign Minister Raymond Tshibanda N’tungamulongo told Reuters. Rwandan Foreign Minister Louise Mushikiwabo said it was positive to see the region getting involved to halt the eastern Congo conflict. « It is a good agreement, it is not a solution, it is part of a solution, » the Rwandan minister told Reuters. While Congo welcomed the agreement’s explicit condemnation of the M23 group which Kinshasa says is backed by Kigali, Mushikiwabo maintained Rwanda’s position that it was not involved at all in what she called « a mutiny by undisciplined soldiers of the Congolese army ». « The mistake is to try to associate them with Rwanda, » she told Reuters. At the same time, she welcomed the prospect of what she called « swift, decisive military action » against the FDLR, which opposes Rwandan President Paul Kagame. The U.S. Special Adviser for the Great Lakes and the DRC, Ambassador Barrie Walkley, welcomed the signing as « a step in the right direction ». He told Reuters efforts to end the fighting in North Kivu would be bolstered if, as expected, President Kagame and Congolese President Joseph Kabila both attended a mini-summit on eastern Congo at the weekend in Addis during the AU meeting. But he added there was uncertainty about how the « neutral international force » proposed in the accord would be created. « The intention is absolutely laudable, but what does it mean? Where would the troops come from, » he asked. U.N. Secretary-General Ban Ki-moon had told Rwandan President Kagame he was concerned about reports that dissident Congolese troops were receiving support from Kigali officials. Western governments have also been pressing for the arrest of renegade Congolese Tutsi general Bosco Ntaganda, who is wanted by the International Criminal Court (ICC) for suspected war crimes. The M23 rebellion, which takes its name from a 2009 peace accord the rebels say was violated by Kinshasa, has been swelled by hundreds of defectors from the Congolese army who walked out into the bush in support of Ntaganda. Congolese officials said Ntaganda was in Rwanda. Kajugujugu 2 z’ingabo za Congo na 3 za MONUSCO kuri uyu wa kane tariki ya 12 Nyakanga 2012 zarashe ibirindiro by’inyeshyamba za M23 mu duce twa Nkokwe na Bukima hakaba humvikanye urusaku rw’ibisasu biturika. Ayo makuru kandi ONU na FARDC bayemeje igihe bavuganaga n’abanyamakuru b’ibiro ntaramakuru by’abafaransa AFP. Ku ruhande rw’inyeshyamba za M23, umu colonel wo muri izo nyeshyamba yemeje ko koko kajugujugu zirimo kurasa ibirindiro byabo ariko ngo abarasa ntabwo bazi aho inyeshyamba za M23 ziri ngo nta kibazo gihari. Agace ka Nkokwe n’umusozi wa Bukima biherereye hagati ya 5 km na 10 km uvuye ku muhanda Rutshuru-Goma, ahagana muri 50 km mu majyaruguru y’umujyi wa Goma. Aho hantu hombi kandi haherereye mu burengerazuba bwa Pariki ya Virunga, iri ku mupaka wa Uganda n’u Rwanda. Utwo duce inyeshyamba za M23 zahashinze ibirindiro kuva muri Gicurasi uyu mwaka n’ubwo ingabo za Congo na MONUSCO zikunze kuharasa ibisasu biremereye. Ku muhanda ugana i Goma, ingabo za Congo zafungiye inzira abasiviri ahagana i Rumangabo ahagana muri 15 km uvuye mu duce turimo kuraswa. Ibi bikorwa bya MONUSCO na FARDC bibaye hashize umunsi umwe gusa ibifaru (Chars) by’ingabo za MONUSCO zishinze ibirindiro ahagana muri 25 km mu majyaruguru y’umujyi wa Goma mu rwego rwo gukumira ibitero inyeshyamba za M23 zagaba ku mujyi wa Goma dore ko hamaze iminsi izo nyeshyamba zigaruriye uduce twinshi two muri Rutshuru. Hagati aho mu cyumweru gishize hashyizweho umukuru mushya w’akarere ka 8 ka gisirikare k’ingabo za Congo gashinzwe Kivu y’amajyaruguru, uwo ni Général de brigade Lucien Bahuma yategekaga agace ka 5 ka gisirikare muri Kasaï y’uburasirazuba. Yasimbuye Général Mayala,woherejwe kuyobora akarere ka 2 ka gisirikare muri Bas-Congo. Général de brigade Lucien Bahuma yasuye ibirindiro by’ingabo za Congo biri mu majyaruguru ya Goma ahitwa Kibumba na Rugari ari kumwe n’umukuru w’ingabo za MONUSCO muri Kivu y’amajyaruguru. Umuvugizi w’ingabo za Congo, colonel Olivier Hamuli yareze inyeshyamba za M23 ngo kuba zarashe ku basiviri ku bushake ahitwa Rugari. Ikindi gihangayikishije abantu bamwe nk’uko bitangazwa n’umuryango International Crisis Group mu cyegeranyo cyayo yasohoye kuri uyu wa gatatu tariki ya 11 Nyakanga 2012, n’ibikorwa byo gucukura peteroli muri Pariki ya Virunga iri ku mupaka w’u Rwanda, Uganda na Congo. Ibyo bikorwa bikaba bigomba gukorwa n’isosiyete yo mu gihugu cy’u Bwongereza yitwa Soco International. Ikaba yaragiranye amasezerano na Leta ya Congo muri 2010. Igiteye inkeke n’uko iyo peteroli ishobora gutuma ubushyamirane bwiyongera hakurikiwe umutungo uva muri iyo peteroli byaba ku banyekongo ubwabo cyangwa ku bihugu baturanye nk’u Rwanda na Uganda. Ibivugwa ko hari abafite gahunda yo gukora igihugu kigenga muri Kivu nabo iyo peteroli yaba impamvu y’ingenzi yabaha ingufu mu gushaka kwigenga ngo biharire iyo peteroli ntibayisangire n’abandi banyekongo. Dans un rapport publié, mercredi 11 juillet, International Crisis group indique que la prospection pétrolière dans les provinces de Kivu risque « d’exacerber les dynamiques de conflit et de fragiliser la cohésion nationale ». Selon l’ONG, cette partie du pays est déjà «peuplé de groupes rebelles qui se livrent, à l’instar de l’armée congolaise, à l’exploitation illégale des ressources naturelles». « La présence de cette manne financière risque de relancer une course à l’enrichissement via les matières premières et comporte un risque d’instabilité », commente Marc-André Lagrange, analyste senior de l’ONG. D’après le rapport, l’enlèvement d’un sous-traitant d’une compagnie pétrolière dans le parc des Virunga en 2011 rappelle que l’exploration a lieu dans des zones où l’insécurité prévaut. International Crisis group se plaint aussi des conséquences de l’exploitation pétrolière sur l’environnement. La délimitation officielle des blocs comprend des parcs naturels, dont certains sont classés au patrimoine mondial de l’humanité par l’Organisation des Nations unies pour l’éducation, la science et la culture (Unesco), et menace les ressources des populations locales. L’exploitation et l’exploration du pétrole dans le parc des Virunga, par exemple, est buté à des résistances des populations locales et des défenseurs de l’environnement. Une ordonnance du chef de l’Etat signée en juin 2010 accorde l’exploration et la production du pétrole dans le bloc 5 du rift albertin Est de la RDC à l’entreprise Soco internationale. International Crisis group, qui signale dans son rapport que l’incapacité à trouver une solution à l’amiable au problème du pétrole au large de la côte ouest a envenimé les relations entre l’Angola et la RDC, note qu’une ruée vers le pétrole aura « des effets déstabilisateurs si le gouvernement n’adopte pas de mesures préventives tant à l’échelle régionale que nationale». Marc-André Lagrange recommande au gouvernement plus de transparence dans l’attribution des permis d’exploitation et de production en excluant des accords de gré à gré. Il propose aussi au gouvernement de réviser le code sur les hydrocarbures et d’instaurer un moratoire sur l’exploitation dans les zones instables de l’Est. Posté dans 12 juillet, 2012 dans Non classé. 3 commentaires. -Mu gihe Perezida Kagame yari mu nama i London yiswe Family Planning Summit –London, ngo Ministre w’intebe w’ubwongereza Bwana David Cameron yaramusomeye amusaba kwiha akabanga ku kibazo cya Congo cyangwa agashyirwa ku ruhande. -Leta y’u Rwanda ifatanije na M23 yaba ngo ishaka gukoresha amayeri yo guteza umutekano muke mu mujyi wa Goma ikoresheje abantu bawucengeyemo. Abo bantu ngo baba bagamije gukora ibikorwa byibasira abanyarwanda cyangwa abatutsi kugira ngo bihe u Rwanda na M23 urwitwazo rwo gutera Goma ngo baje gutabara abatutsi. Si ubwa mbere byaba bibaye kuko iyo mikorere FPR yarayikoresheje mu Rwanda muri 1994 na mbere yaho. -Leta ya Kagame yaba ifite umugambi wo gukora igihugu kigenga yagira akarima kayo muri za Kivu zombi yifashishije M23 n’abandi bakongomani yakwitirira icyo gikorwa. -Ngo Perezida Kagame yaba yatangiye kugurisha imitungo ye ahereye kuri Kigali City tower ngo siyo gusa kuko ngo nahandi afite amafaranga arimo kugenda ayimura kuko hari ahatangiye kugenda hamenyekana. Mu mujyi wa Kigari hamaze iminsi hahwihwiswa ko Kagame yaba yaragururishije inzu ye iri mu mujyi wa Kigali izwi ku izina rya Kigali City Tower ari byo umuntu agenekereje mu Kinyarwanda yakwita Umunara w’Umujyi wa Kigali iherereye ahahoze ikigo abagenzi bategeramo imodoka “gare routière” cyangwa National Main Park mu cyongereza cyahoze harugura y’ahitwa kwa Rubangura mu Mujyi. Haranavugwa kandi ko n’isoko rishya rya Nyarugenge “Nyarugenge new market” na ryo ryubatse n’ubundi ahahoze isoko rya Nyarugenge ko naryo ryaba ryaragiye ku isoko rikagurishwa aho bavuga ko naryo Kagame yari arifitemo imigabane itari mito. Posté dans 12 juillet, 2012 dans Non classé. 4 commentaires. Amakuru atangazwa na BBC Gahuza Miryango, aravuga ko inyeshyamba za M23 zashyizeho ishami rya politiki riyobowe n’umuhuzabikorwa Bishop Jean Marie Runiga Rugerero, ngo iryo shami rigamije guhangana n’ibibazo bya politiki. Mu byo yatangarije BBC uwo muhuzabikorwa yavuze ko Leta ya Congo nitabungabunga umutekano w’abaturage bose M23 izatera umujyi wa Goma ijye kurinda abaturage b’amoko yose. Hagati aho kuri uyu wa 11 Nyakanga 2012 mu gitondo ingabo za Congo zongeye gusubira mu duce twa Rutshuru-Centre na Kiwanja ariko ngo abapolisi ba M23 bari basigaye muri utwo duce igihe izindi ngabo za M23 zagendaga ntabwo bagaragara. Ingabo za MONUSCO zivuye muri Ituli na Kivu y’amajyepfo n’ingabo za Congo zongerewe zinashinga ibirindiro mu mujyi wa Goma ngo zibuze ko haba umutekano muke no kubuza ingabo za M23 kuba zafata uwo mujyi, ariko hari amakuru avuga ko ngo abanyarwanda n’abandi bo mu bwoko bw’abatutsi ngo bafite ubwoba bwo guhohoterwa ku buryo abenshi batagisohoka mu mago yabo. Hari abahamagaye BBC bavuga ko bakubitwa buri munsi ndetse ngo hari abavuga ko ngo hari abafungiye k’ishami rishinzwe umutekano n’iperereza (DGM) mu mujyi wa Goma ngo bazira gusa ko ari abatutsi. Ariko hari n’abandi benshi bibaza niba M23 idashaka kugira abatutsi urwitwazo n’ibitambo nk’uko FPR yabigize mu Rwanda kugirango igere ku butegetsi dore ko na ONU yagaraje ko u Rwanda ruri inyuma ya M23. Ahitwa Kibumba mu majyaruguru y’umujyi wa Goma ahari ibirindiro by’ingabo za Congo, ngo izo ngabo nta byo kuzitunga zifiye ndetse n’amazi yo kunywa ku buryo biba ngombwa ko iyo bwije zijya gusahura abaturage ibyo kurya.